Once Upon a Twilight! 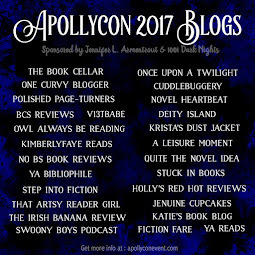 : #Apollycon 2017 Updates Galore! Apollycon 2017 will be held at the DoubleTree by Hilton Hotel at the Entrance at Universal Orlando! 2pm-4pm - EXCLUSIVE TITAN SIGNING: This signing will be for TITAN PASS HOLDERS ONLY. All attending authors and vendors will be on site during this session as well. TITAN PASS HOLDERS PLEASE NOTE: This signing will end promptly at 4PM. If you still have books you need to have signed, you may attend the General Signing session on Saturday. 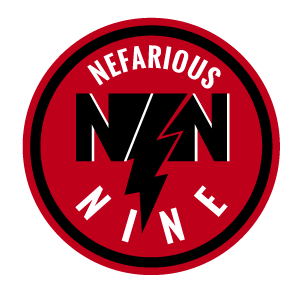 12pm-5pm - GENERAL SIGNING SESSION: This session is FREE to all attendees! Please keep in mind that we are asking that you still register to attend the event. All authors and vendors will be on site and available at this time. Some authors will be ticketed and/or have book limits (that may differ from the general book limitations which can be found in the FAQ section below), so please be prepared to adhere to the specified instructions. The signing will end promptly at 5PM, as we will need to clear the space for the after party which will be occuring later that evening. **For additional information regarding this event including attending authors & vendors, check out the Apollycon website, or the FAQ's below. Plan to bring your ID with you when picking up your registration on site. <--This will apply to those of you purchasing a Titan, Apollyon, and/or Demigod pass. Also, there will be a bar serving alcoholic beverages at the after party, so be sure to bring your ID in the event that you wish to purchase drinks. You may bring as many books from home as you'd like, but you can only get 5 books per author signed at a time, and you'll be asked to go to the back of the line to get any additional books signed by the same author. **Please note: There may be some authors that have a different book limit (less than 5), but we will make a formal announcement on the Apollycon site/social media closer to the event. Yes! There will be an onsite bookseller with books for purchase. (Hours of operation will be posted closer to date of the event.) Self-published titles will be sold by the author at their respective tables, at the author's discretion. As we get closer to the event, we will provide a list of books that will be available for purchase at the event. **Please note: There may be limited titles/formats available through the bookseller, so if you have specific titles you'd like to have for the signing, your best bet is to purchase them before the event. For more FAQ's, check out the Frequently Asked Questions page on the Apollycon website.